Designed for commercial pilots and serious travellers, the Oyster Perpetual GMT-Master II enables the wearer to read the time in two time zones simultaneously, thanks to its bidirectional rotatable 24-hour graduated bezel and 24-hour hand. The independent 12-hour hand allows the hour hand to be set for a new time zone while the watch continues to function, maintaining the exact time. The rotatable bezel makes it possible to display the time in a third time zone. 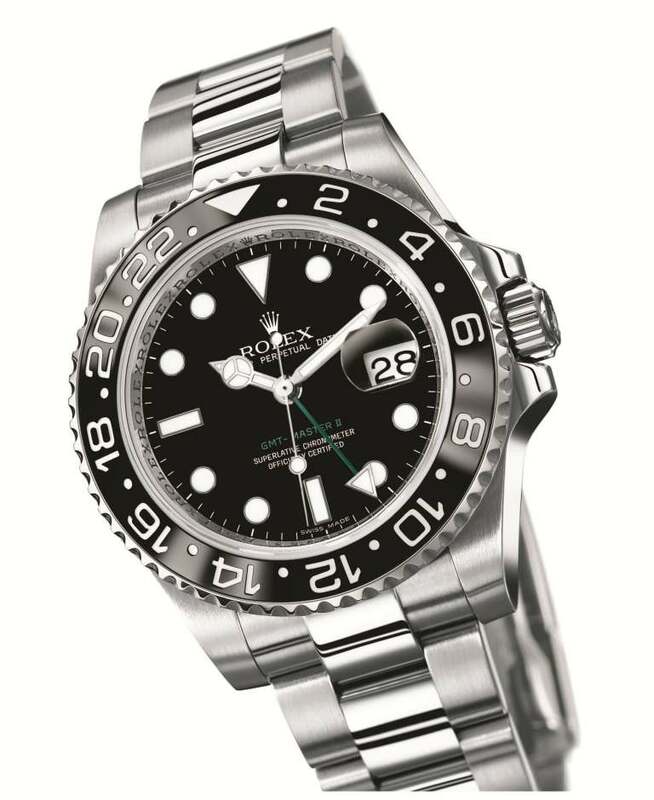 The GMT-Master II benefits from all the aesthetic and technical innovations developed and perfected by Rolex. 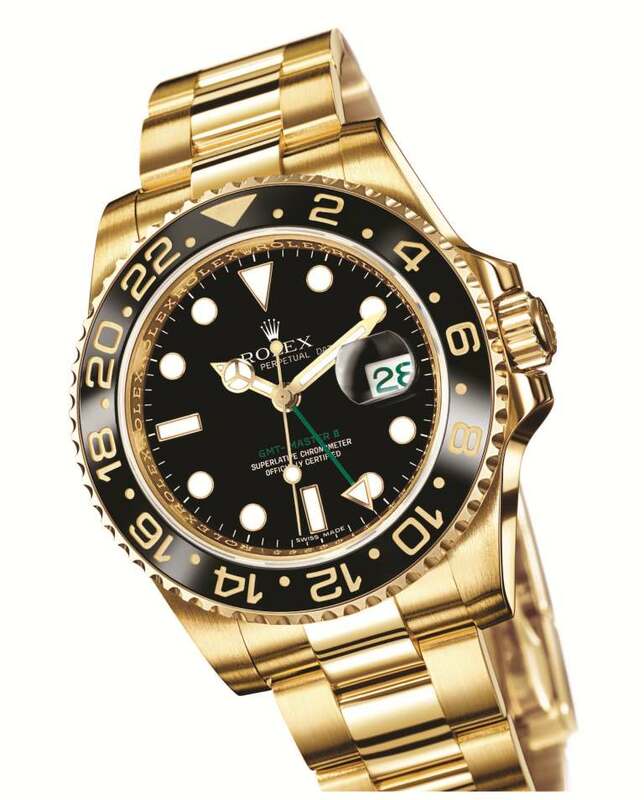 It is equipped with a movement featuring a new Parachrom hairspring designed and developed by Rolex, which offers increased resistance to shocks and magnetic fields, and a bezel with a virtually scratchproof Cerachrom insert. Self-winding, equipped with a Perpetual rotor and certified by the Swiss Official Chronometer Testing Institute (COSC), the Oyster Perpetual GMT-Master II is guaranteed waterproof to a depth of 100 metres (330 feet). It features a sapphire crystal and a Cyclops lens with anti-reflective coating and a Triplock winding crown protected by shoulders. It is equipped with an Oyster bracelet with an Oysterlock clasp and an Easylink comfort extension link. Available in 18 ct yellow gold, Rolesor, or 904L steel, it also exists in yellow or white gold gem-set versions.